The final figures for Champagne shipments for 2017 were released on Friday showing total sales of 307.3 million bottles, slightly lower than estimates reported last month by db. On 26 January we reported that Champagne had shipped 307.6m bottles in 2017, based on estimates from the Comité Champagne, but now the regional organization has said the official number is in fact 300,000 bottles lower than that initial figure. The official 307.3m bottle total still represents a growth of 0.4% compared to 2016, when shipments were 306m. However, as also previously reported by db, Champagne had forecast greater growth for the region in 2017, based on strong sales performance in the first half of last year, and it was believed that shipments would surpass 312m. The lower-than-expected final figure is being blamed on relatively poor sales of Champagne at the end of the year, particularly in December, and above all in the French market, which is the largest for the fizz, accounting for half all sales by volume. As pointed out by db already, Champagne sales at the end of the year are particularly important for the overall health of the region, as two thirds of Champagne’s total volumes are done between September and December. The French market is vital for the volume performance of Champagne as a whole and especially in December, but Champagne sales in French supermarkets are falling because the extent of price promotional activity on the fizz is diminishing. The French market has dropped by 2.5% to total 153.7 million bottles, which was “a steeper drop than expected due to a disappointing month of December”, according to Maxime Toubart, President of the Syndicat Général des Vignerons (SGV) and Co-President of Comité Champagne. In contrast, exports for Champagne have risen by 3.5%, taking them to total 153.6m bottles – almost exactly the same size as the domestic market for Champagne. However, this positive figure conceals a decline in Champagne sales within the EU, which have fallen by 1.3% to total 76.6m bottles – a decrease blamed on a shrinking market for discount Champagne in the UK specifically, which is Champagne’s largest export market by volume. Meanwhile, export markets outside Europe now amount to 77m bottles, making them collectively a bigger source of Champagne sales than the EU for the first time. Markets such as the US, Japan and Australia have been growth drivers for Champagne, and non-EU export countries together enjoyed growth of 9% in 2017. 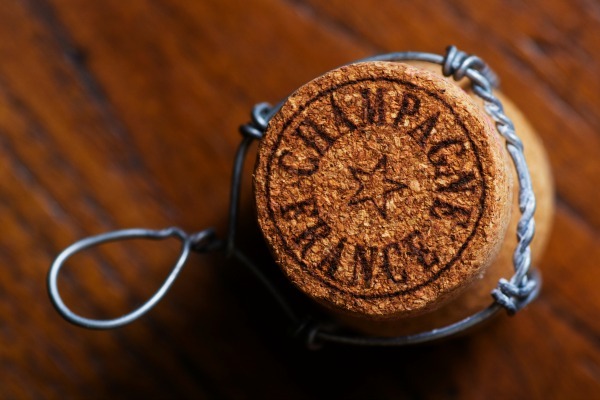 With declining sales of discount Champagne in France and the UK, and a general move to more premium brands, along with growth in higher value markets such as the US and Japan, the value of Champagne shipments has continued to rise. Indeed, Champagne has set a new record for turnover, hitting a total of €4.9bn, bypassing its previous high in 2016, when it reached €4.75bn. The full results of Champagne shipments for 2017, country by country, will be announced at a press conference in ProWein on March 18 between 12 and 12.30pm.